To our great pleasure, Motorola just won't stop with the announcements of new devices these days. The latest offering from the company is called Photon 4G and will be launched sometime this Summer on the Sprint network in the United States. The Photon 4G is a dual GSM/CDMA device with a pleasant octagonal design. Its spec sheet shows that, aside its screen size and network support, it is closely related by another Tegra 2 powered device by Motorola - the Atrix 4G. Along with the dual-core CPU, the Photon 4G offers a cool gig of RAM and 16GB of built-in storage which can be expanded via microSD card (up to 32GB). 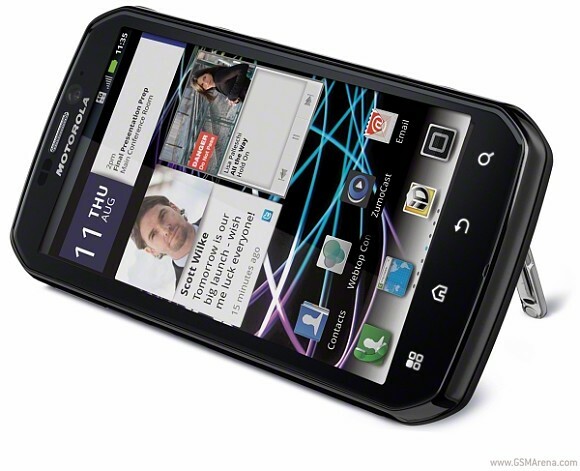 There is an 8MP camera on the back with 720p video capture capability, and a VGA unit in the front for video calls. Connectivity has all bases covered with Bluetooth 2.1, Wi-Fi b/g/n, and an HDMI output. The Photon 4G will ship with Android 2.3 Gingerbread dressed in MOTOBLUR. The screen of the Photon 4G is a 4.3" with qHD resolution. The device is the first Motorola offering to come with a built-in kickstand for watching videos. Like the ATRIX 4G, the Photon can be connected to a Motorola accessory dock and offer a laptop-like experience. The phone will be available sometimes this Summer for a yet undisclosed price (we think in the $200 range with a contract).